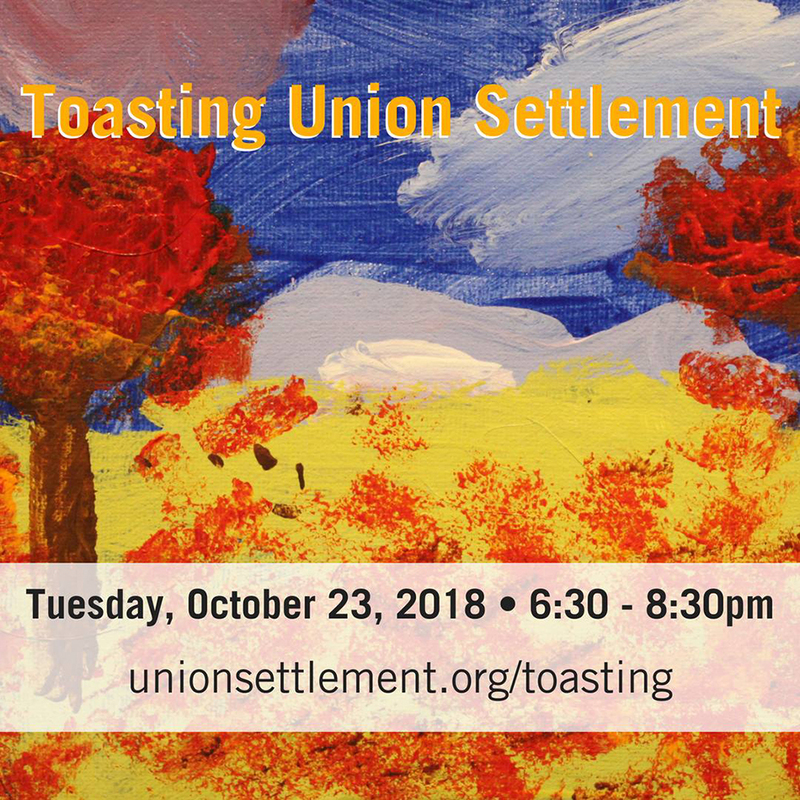 Toasting Union Settlement will take place on Tuesday, October 23rd, in a celebration of their work which serves more than 10,000 residents each year at over a dozen East Harlem locations. This year, a special honor will be given to Gina Rusch for her 40+ years of service and dedication to Union Settlement. The Event will take place at Vanderbilt Suites, 200 Park Avenue in the MetLife Building (enter off Vanderbilt at 44th Street).